Despite coming out and playing a strong first period, the Gulls found themselves trailing 1-0 after Brian McGrattan took a tripping penalty and Brendan Ranford converted on a breakaway, putting the Stars up 1-0 and shifting momentum in the Stars favor. San Diego kept plenty of pressure on Stars goaltender Jack Campbell in the second frame but were unable to convert on their only power play opportunity. Meanwhile, Texas continued to capitalize on sloppy defense and bad turnovers; including notching a pair of goals just 32 seconds apart. By this time, the Gulls seemed to lose all steam, allowing more than twice as many shots on goal to their visiting opponent and forcing goaltender Matt Hackett to continuously perform acrobatics in net, attempting to keep the game close. Forward Michael Sgarbossa, back with the team after spending some time with the Anaheim Ducks, buried a puck early in the third period to give the Gulls some life. Feeding off that burst of energy, San Diego quickly added another marker by forward Joseph Cramarossa, igniting the team and crowd. When defenseman Brandon Montour converted on a loose puck sitting behind Campbell’s pads, he brought them within one. Yet, forward Travis Morin took the wind out of the Gulls sails, scoring another Stars goal to secure their victory and hand the Gulls a sixth straight loss. 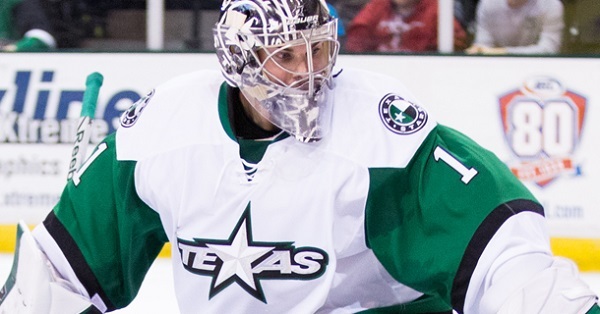 NOTE: After the game, Campbell was recalled to the NHL by the Dallas Stars.